***LOADED, LOCAL TRADE!!! 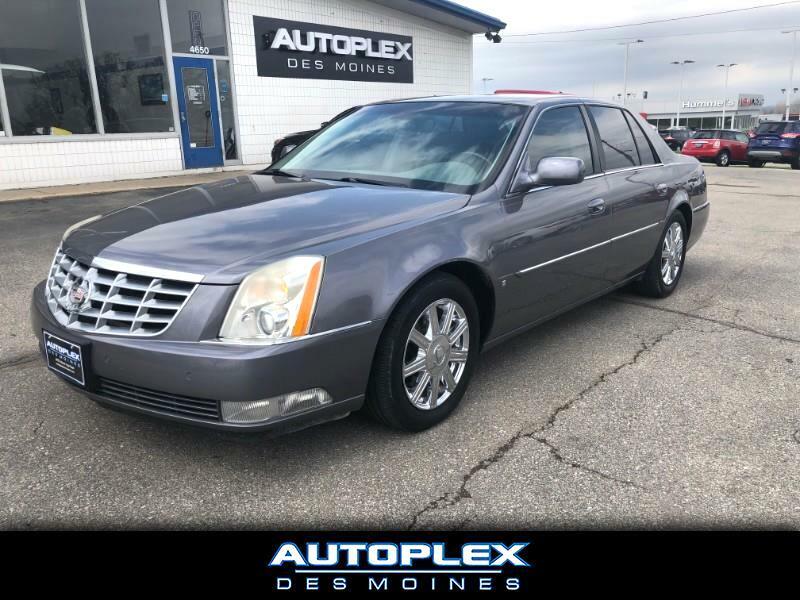 *** We are pleased to offer this loaded 2007 Cadillac DTS Luxury2 complete with the Northstar 4.6 Liter V8 engine. This DTS is loaded with Power windows, Power locks, Power mirrors, Dual power heated and cooled memory seats, Massaging seats, AM/FM/CD player with AUX audio input and Bose premium audio, Moon-roof, Navigation, Second row heated seats, Keyless entry with factory remote start, Chrome wheels and MORE! Stop in today for a test drive!!! We offer convenient and competitive Bank and Credit Union financing for most credit types to save you both time and money. Come experience the Autoplex Des Moines Difference Today! Visit Autoplex Des Moines online at www.autoplexdesmoines.com to see more pictures of this vehicle or call or text us at 515-276-5831 today to schedule your test drive. Message: Thought you might be interested in this 2007 Cadillac DTS.